The 1st October is one of the most significant days in the Sake calendar, and indeed, the Japanese calendar. 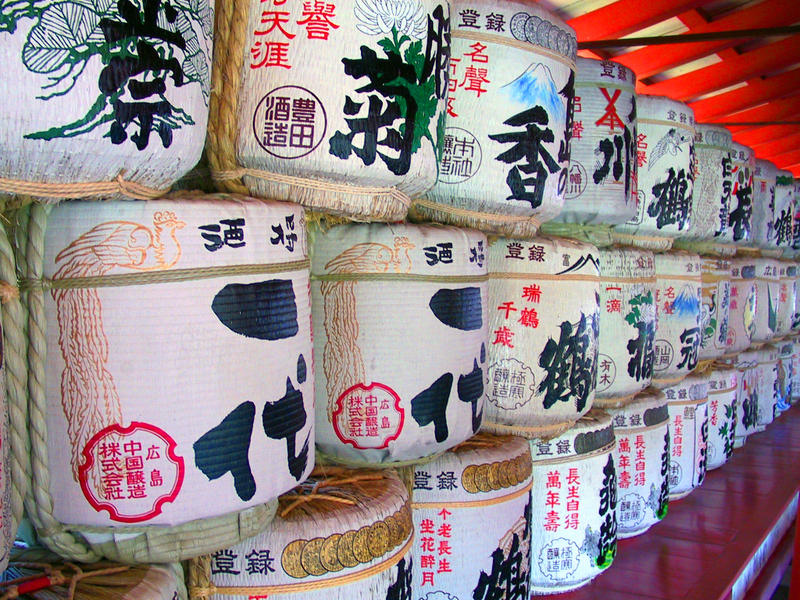 Otherwise known as Sake Day, or “Nihonshu no hi”, it marks the first day of the sake-making season. The 1st October, in other words, is sake’s ‘New Year’s Day’. The date is also of important for symbolic reasons, because the tenth year, hour and month are represented in the Chinese zodiac system by an ancient character that is also the symbol for sake. So what have our UK importers and restaurants got in store for this year’s “New Year” celebrations? Find out below and let us raise our glasses and Kanpai to usher in the new year of sake! Celebrate World Sake Day on October 1st. From 5:30 PM until close, SUSHISAMBA will . . . SAKE SPRITZ £14 – Takashimizu Sake, dry cacao liqueur, lemon juice and a cherry and cacao bitters blend. Served over ice and spritzed with prosecco. Feature a Kimono performance, where dressed in traditional garb, Geisha will be serving sake to guests throughout the celebration during the night’s festivities. Serve sake-inspired dishes created by our chefs, who have seized inspiration from World Sake Day to breathe some sake spirit to their culinary craft. Book your table now: +44 (0)203 640 7330 or email: londonreservations@sushisamba.com – space fills up quickly. Hedonism is proud to be hosting another wonderful Sake showcase to celebrate International Japanese Sake Day. With over 10 different premium brews to sample, including a number of unpasteurised ‘Nama’ Sakes, this is set to be a wonderful tasting for both connoisseurs & newcomers alike. The World Sake Imports is organizing a seven-course food and sake-pairing menu at Matsuri St James to celebrate the occasion on the first October. Please call 020 7839 1101 to book your seat. We are kicking off World Sake Day 2015 at 6:30pm with a Sake Masterclass hosted by sake experts Tengu Sake. There’ll be a variety of sakes to try: different types, styles and regionalities. We’ll also be talking about temperature and food pairings, and there’ll be some nibbles for people to try with the sake. Then, at 8pm, the party starts in true PimpShuei style. The collaboration with Tengu Sake means sake both by the glass, straight from the barrel as well as some superb sake cocktails. All this mixed in with PimpShuei’s signature cocktails, retro arcade machines and killer Kung Fu theme. Also present will be Double Dragon Sound Systems on the decks to provide some chilled tunes. Shoryu Ramen, who specialise in authentic Kyushu cuisine, are celebrating World Sake Day 1st October 2015 by offering a complimentary sake for every diner that visits one of their four restaurants from 6pm on the day. They have also created a special flight of three different sakes, which will be available for £6.50 – a perfect opportunity to try different sakes. For the complimentary sake, Shoryu Ramen will offer Gekkeikan Namasake, which is unlike other types of sake as it is unpasterurised for a stronger taste and aroma. The flight of sakes, will include three Gekkeikan Sakes – Junmai Kome to Mizu, a dry, mellow sake, Namazake, with the name literally meaning ‘natural sake’ and Nigori, a sweeter, creamier sake. All of these choices have been especially chosen by Vicky Vittoria Vecchione, bar manager and mixologist for Shoryu Ramen. Junmai, Honjuzu, Daiginjo – it’s not easy to get to grips with Sake without a guide so we’re happy to welcome Takeshi Nakamura from importer Sake@UK and Sake Sommelier Jono Beagle to guide you through some of the many flavours and styles of Japan’s finest beverage. Both Takeshi and Jono are convinced Sake can match with European food and are importing previously unavailable breweries to the UK for the first time. This is sure to be and palate-expanding, fascinating tasting. See here for event details and booking. Japan Centre in Piccadilly will be offering 20% sake bought in store on the day. Sake sampling at Japan Centre will be held on the day between 3-6pm which will be with Naoyuki Torisawa, Japan Centre’s sake sommelier. The 1st October will also see the launch of renowned sake brewers, Gekkeikan’s new Master Cooking Competition in collaboration with Japan Centre. For more information see here.